Want to spend a summer in Japan? Summer in Japan means many things. Summer is colorful local festival with Japanese men and women in their beautiful Yukatas (summer kimonos). It is sitting by a river with friends watching spectacular fireworks blossom overhead. And summer with UTREK is hiking in the Japan Alps, making interesting Japanese handicrafts, and meeting lifelong friends. 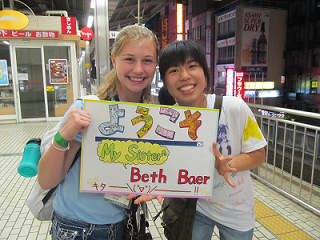 The UTREK summer in Japan is an opportunity for foreign youths to travel to Japan, live with a Japanese host family, and participate in UTREK's international summer camp and cultural workshops. UTREK is a non-profit Japanese exchange organization whose main objective is to develop global understanding and leadership skills in youths and adults. UTREK administers a program combining an international exchange experience and outdoor camp. UTREK's combination of family and camp experiences introduces young people to other cultures and how the surrounding environment has affected those cultures. © UTREK International Exchange Center. All rights Reserved.